Add all ingredients into a food processor or blender and process/blend until smooth. Garnish with a lemon or lime slice. Serve and Enjoy! This recipe is from our Aroniaberry Smoothie Recipe E-Book available online at superberries.com. 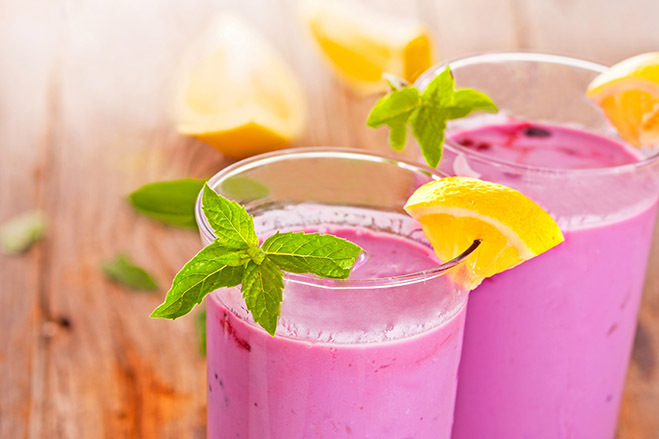 This smoothie recipe book features over 30 smoothie recipes and a 5-page buying guide for fruits and vegetables to use in smoothies.